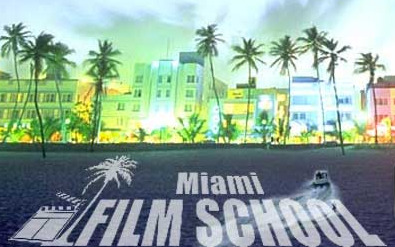 LOS ANGELES and MIAMI - Sept. 1, 2010 - Bigfoot Entertainment, Inc. agreed to acquire an interest in Miami Film School and Palm Beach Film School, vocational filmmaking training schools with campuses in Hollywood and West Palm Beach, Fla. This marks Bigfoot Entertainment's latest strategic investment in strengthening its portfolio of international film schools. Bigfoot also invested in the International Academy of Film and Television (IAFT), through parent company International Film School Holdings (BVI) Ltd., which boasts campuses in Cebu, Philippines and Hong Kong. "Our affiliation with the Miami and Palm Beach Film Schools helps fulfill the aspirations of many local IAFT graduates by creating exciting inroads into the U.S. - a market that will continue to dominate the international film and media production scene for many years to come," said Kacy Andrews, CEO of Bigfoot Entertainment and International Film School Holdings (BVI) Ltd. This strategic venture will also provide a significant talent pool for Bigfoot Entertainment to draw upon for its various productions. With state-of-the-art production studios in Asia, the independent entertainment company produced more than 13 feature films and documentaries over the course of six years, with a slate of feature films and television series in the pipeline. "The Miami and Palm Beach Film Schools continue to be committed to delivering a practical, hands-on approach in their filmmaking training programs," said Jim York, founder and executive director, Miami and Palm Beach Film Schools. "By affiliation with a global entertainment company, our students can now look forward to a chance to work on real-world feature film productions, under guidance from experienced and acclaimed industry professionals as mentors. They can also look forward to a host of prospects such as internship programs and permanent job placements upon graduation that Bigfoot Entertainment offers." For more information about Bigfoot Entertainment and its affiliated film schools, please visit: http://www.bigfoot.com/oc-film-school.php. Founded in 2004, Bigfoot Entertainment, Inc. is an international entertainment company producing independent films for the global marketplace. The company finances and develops feature films, documentaries and reality TV shows, many of which have received industry accolades, festival awards and have been released world-wide. Bigfoot Entertainment produces many of its projects at Bigfoot Studios, a wholly-owned subsidiary that encompasses six sound stages and on-site state-of-the-art post-production facilities. The Miami Film School located in Hollywood, Florida and the Palm Beach Film School located in West Palm Beach, Florida offer intensive, "hands-on, learn-by-doing" training programs that teach students of all ages how to write, shoot, direct and edit their own short, character-driven drama, comedy or horror films at an affordable tuition in 7 or 21 weeks. Students shoot on the latest HD cameras and edit on Final Cut Pro in innovative, state-of-the-art facilities with all the latest lighting, sound gear and camera support equipment. Each student makes his or her own film and each film is screened at a South Florida movie theater. For more information, visit http://www.miamifilmschool.com or http://www.palmbeachfilmschool.com.